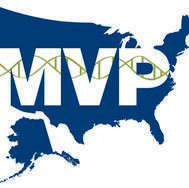 THERE IS HOPE FOR OUR VETERANS - YOU CAN HELP! CLICK ON "MILLION VET PROGRAM" and "Agent Orange Vietnam Veterans Handbook" by John Walker. Just click on the image to your left to learn about the Million Veteran Program and right to go to Flipboard.com and download the free app for Agent Orange Handbook. Click on "Ribbon" upper right to search for the Agent Orange magazine on this site by title. 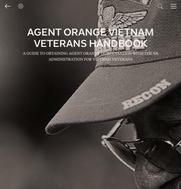 You can view the magazine "AGENT ORANGE HANDBOOK" for free on your smartphone, computer or tablet. Founder John Walker, a Vietnam Veteran talks about what this website is all about and how you can become a "Soldier For a Hero"
CLICK ON IMAGE ABOVE TO LEARN MUCH, MUCH, MORE. THE #1 CARD ABOVE ALL!